of the culture - the language. 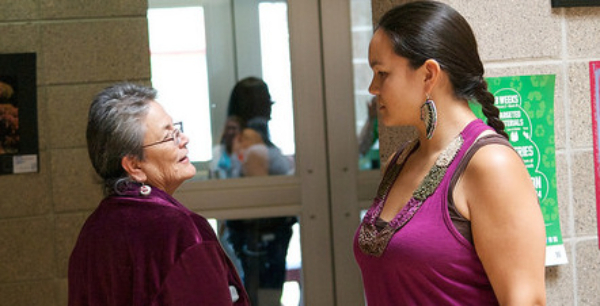 The Lakota Summer Institute is three weeks of digging into how the Lakota language works. Find out how switching over to “Lakota thinking” can transform you. The LSI Home Page is here. Registration is now open here. Lakota language teachers from every tribal school system find professional support and intensive study at LSI. But it's not just for teachers! anyone who wants to learn. Course and Instructor information is here. Registration is now open online here. 2015 LSI Paper Registration Form. Find out more about LSI courses at the Lakota Language Consortium blog. And we are still looking for an Intern to help us run LSI! Please contact info@lakhota.org if you are interested in joining us. Copyright © 2015 Lakota Language Consortium, All rights reserved.